Presidents Day Weekend in Miami offers a treasure trove for boating enthusiasts. This year, the Miami Yacht Show will dock at One Herald Plaza, just north of Downtown Miami where the Venetian and MacArthur Causeways connect to South Beach, for the first time after 30 years in Miami Beach on Collins Avenue across the street from the Fontainebleau and Eden Roc resorts. This years show takes place from February 14-18, 2019. This is a collaborative move that is designed to make Miamis boat show week an easily accessible, interconnected system of events. The show will be better positioned for growth with additional land space to enhance and expand VIP lounges and add entertainment, said Andrew Doole, general manager of Informa, the Miami Yacht Shows co-owner and producer. The move makes it more convenient for boaters to attend both the Miami Yacht Show and the larger Miami International Boat Show held at Marine Stadium on the Rickenbacker Causeway on Key Biscayne since 2016. Free water taxis and shuttle buses will be available connecting the two events. The new location also boasts 3,500 parking spots for more convenient transportation and access. The new location also provides more on-land exhibition space for exotic cars and private aircrafts adding to the spectacle. An international crowd descends on the docks to peruse and board both new and pre-owned luxury yachts at Genting and Sea Isle marinas, which will showcase the extraordinary yachts and superyachts from the world's foremost custom boat builders. More than 500 vendors will be exhibiting their latest state-of-the-art yachts including Benetti, Burgess, Feadship, Delta, Hargrave and many more. 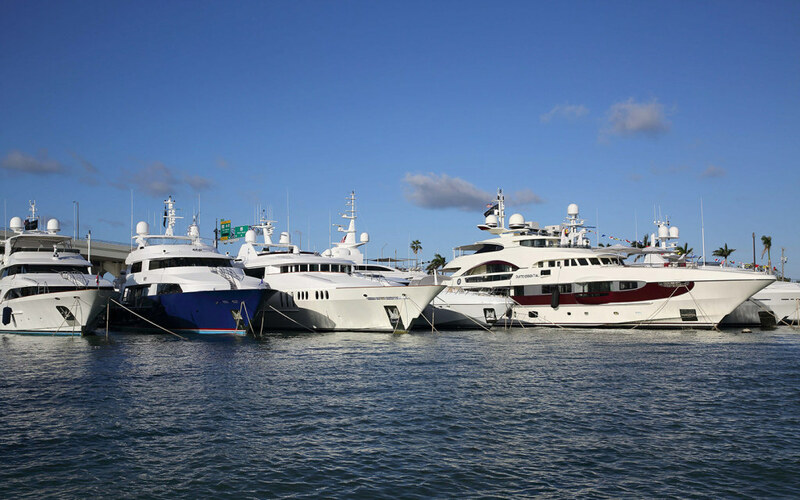 The Miami Yacht Show also boasts a collection of superyachts at a secondary location on Watson Island at the Island Gardens Deep Harbour Marina, which can accommodate yachts of up to 400 feet. This year, dont miss the new AquaZone at the Miami Yacht Show where there will be a variety of demos by Flyboard, Seabob, Rover Boat Board, Powervision Underwater Drone, Schiller Water Bike, Freestyle Slide and Yoga Girls on stand up paddleboards. You can also partake in seminars on kayak fishing and other nautical topics. The Miami Yacht Show is a longstanding February tradition in Miamiand for good reason. Its the perfect time of year to enjoy Miamis mild winter sunshine and stroll the docks gazing at gorgeous yachts. Whether youre here to buy or simply dream of your next day on the water, its a fun-filled outing with something for everyone.